Most obviously, here is a generation of teachers for whom Dogme ELT could appear to be a perfectly normal feature of the teaching landscape – as far as they are concerned, Dogme ELT has “always been there”. From this perspective, it is becoming more difficult to situate Dogme ELT as a novel, innovative, radical or revolutionary idea or practice because it has, for an increasing number of teachers, not only long been part of the mainstream – it has always been part of the mainstream. No less obvious perhaps is the observation that the longest serving of those teachers who entered the profession after the emergence of Dogme are now at a stage in their careers where they very likely occupy some role related to teacher training and education, whether this be in-service training of the sort that a Director of Studies organizes, or pre-service training (also called initial teacher training) of the kind that trainers like me perform on short intensive courses such as the Cambridge ESOL CELTA. Shouldn’t young pups grow into old dogs? It would be reasonable to expect that over the course of the last ten to fifteen years, some of these teachers – now teacher trainers – would have begun, in an unorganized and probably non-deliberate way, to influence the manner in which such teacher training and education is conducted. In terms of in-service training, we could expect to see principles and practices associated with Dogme ELT to form part of all manner of training interventions, rather than their being presented in sessions dealing with Dogme in its own right. With pre-service training, we might expect to see something similar, with Dogme principles and practices being presented and explored with beginning teachers in an undifferentiated and equivalent manner when contrasted with approaches to teaching which pre-date the emergence of Dogme and which might be considered orthodox, such as TBL, the lexical approach, or PPP as a lesson structure. However reasonable these expectations may be, reality is somewhat different. Dogme ELT, it seems to me, is generally presented as a novelty when it is treated at all during pre-service training or at conferences; sessions are clearly labelled as being “about Dogme”, and the number of sessions, even at international conferences, which set out to define or describe Dogme, clearly outnumbers those sessions which take it for granted that the audience or participants are familiar with the label, let alone the actual practice. Moving to pre-service training, we see a similar picture. Despite the fact that a significant proportion of currently operating tutors on initial teacher training courses of various kinds must belong to that group of teachers who entered the profession after the emergence of Dogme ELT, it is rare to hear of Dogme ELT being treated as a topic on courses at this level, and even more rare to hear of courses whose design and delivery are informed by and accord with unplugged principles and practice. This being so, the place that Dogme ELT holds in conversations relating to teacher education and development – let alone in its fundamental work and practice – is very much still a marginal one in at least two senses. It is marginal in that it occupies a very limited space in the general discourse on teacher training and education, despite efforts to make its voice heard in ELT discourse in general. It is therefore also marginal in the sense that conversations about Dogme and teacher training do not seem to have led very far, as Dogme is still, after 15 years, not a feature of initial teacher training on the whole in the same way that TBL or the lexical approach might be said to be. What is keeping Dogme on the leash? This presents us with an interesting pair of competing hypotheses. B) there is a systemic factor (or set of factors) at play which vitiates against Dogme ELT gaining more of an obvious foothold in teacher training and education. I do not know which of these two possibilities is true, but I am curious to find out. I am interested in and enthusiastic enough about Dogme to have tried to apply it to the pre-service courses that I have run over the last five years. In that time, I have spoken to several teacher trainers about how I have gone about this and encouraged them to try something similar. Some of them have gone on to experiment with their own practice, but perhaps there are many others doing similar work that I have never heard of. I just don’t hear about them, so I don’t know. If you are working in teacher training and are trying to incorporate unplugged ideas and methodology in what you teach and how you train, please comment on this post and describe what you do. In February I will have the privilege of asking this question at the International House Barcelona ELT Conference, and I would love to be able to answer my own question by sharing your stories. Nice article Anthony and you are asking a good question. The two CELTA courses I have run since taking up my position in Istanbul have not been as unplugged as I would like, partly because of resistance from co-tutors and partly because of feedback from various academic managers who have told me that what they want most from newly certified teachers is the ability to work competently with a course book. Consequently, I feel compelled to ensure that candidates I train are able to do this. However, I always do a session on DOGME and encourage candidates to explore low resource teaching. Also, and even though my school is well-equipped technology wise, I don’t allow candidates to use the digital projectors & computers etc until the last two TPs, and then only if they are not in danger of failing. Candidates complain quite a bit about this but I tell them that they don’t get to play with the toys until they have demonstrated that they don’t need them to teach quality lessons. For me, I love both high tech teaching/training, using my MacBook in conjunction with a digital projector and a good wifi connection, and low resource teaching/training, using only what I have in my pockets and my head. Perhaps I am a bit schizophrenic. Thanks for stopping by, Phil, and for sharing those issues and concerns you’ve encountered. I think that the thought that an “unplugged” initial training experience (whatever that might be) would lead to new teachers being inadequately skilled in employing coursebook material is probably one of the main reasons why more trainers don’t try a more dogme-influenced (if not fully dogme-like) approach. And I agree with you that all the equipment in the world makes no sense until you have not only mastered some basic teaching chops, but also understand why they are useful. Thanks again for stopping by – is it ok if I refer to your comment in Barcelona? Personally I think the answer is yes. I would have thought that the fundamentals involved in dogme teaching lend themselves to other methodologies in ways course book teaching do not. In other words, I would expect someone who has been trained in an unplugged teaching methodology to easily be able to “work competently with a course book” – they may not want to, but i rather think they could. I think the way to deal with both hypotheses that you have proposed on here is good solid research. A collation of everything that has gone before, which I seem to remember you doing a very good job of previously, Anthony, and then this must be built upon. I’m no teacher trainer and I’m a long way off from being one, but Phil’s comment above, about academic managers wanting trainees to use a coursebook competently is wide spread and partly, I believe, due to the strangle hold the course book publishers have over the ELT business. This is then linked to the deeply ingrained idea that learning a language entails buying a course book and by working your way through it, viola! you are ready for the next level. There is a basic fear from both teacher and student that without a coursebook you can learn nothing. But I think I’m digressing. Dogme needs to compete, and to do this it needs a basic solid foundation of research and results to build upon. We need to know that it works for it be viable. We have teachers, including myself, that have done small scale projects to demonstrate how it can work and be implemented, this needs to be expanded upon. The results are needed to combat the sweeping statements made by important figures in the ELT industry who dismiss Dogme as a fad. I was at IATEFL, Glasgow when Jim Scrivener, described it as “running through the Dogme forest”, we laughed but these comments stick with people, when respected figures like that issue these unfounded, throwaway comments. Introducing Dogme and other approaches on a teacher training course can only be a good thing, in fact it should be a must. How can we learn if we never try something new? How can we develop if we don’t know other ways of teaching? Take my DELTA course at the moment. I love it and this is by no means a criticism of my tutors but we only do one experimental practice lesson. One! Its not enough. All our other observed lessons are using a course book. Anyway, I need to get back to get back to my DELTA lesson plan. I’m looking forward to your talk at Barcelona and you will certainly find me on the front row, eagerly anticipating what looks to be an interesting topic. Thanks for taking time out from your DELTA lesson planning to comment, Adam; I appreciate it. It’s interesting, isn’t it, that we have this sense that we need to prove that Dogme works: where are the controlled experimental studies showing that any other given method is better than placebo (i.e. just talking) or the rival method? Where are the studies showing that language learners following a predetermined syllabus learn more, or better, than those who don’t? Where are the studies showing the relative learning impact of one coursebook compared to another? Of course, such studies don’t exist and for obvious reasons. What would a robust Dogme study look like? But I am digressing now. Have you come across any teacher trainers who try either to introduce Dogme in an even-handed way alongside other classroom practices, or who try to encourage their teacher trainees to plan and deliver teaching practice lessons with something of the unplugged spirit behind them? When you are finished with your DELTA, and perhaps when you move in the direction of teacher training yourself, what do you think would need to be different from how things are now to encourage and enable you to do these things yourself? Thanks again, and I hope I don’t disappoint you in Barcelona! Several questions for me to ponder and as always an erudite response. My final thought is: Imagine what we could do with Dogme if we did have hard evidence! Your single question trumps all my several questions, Adam! Of course you use my comments Ant. I would be honoured. This discussion reminded of the three days I spent in Borneo a couple of years ago doing CPD for local state school teachers. Most of them had no classroom technology of any kind, not even CD or cassette players or photocopiers, their students often had no books of any description and they had no library/resource room. A few told me they had to bring their own chalk to school if they wanted to use the board. For the three days I worked with them, I didn’t give out a single handout and only used what was already in the room when demonstrating something. The only outside material was the music on my Mac, so it wasn’t totally Dogme. I didn’t use my Mac for anything else though. This was quite possibly the most enjoyable and most rewarding experience I have had as a teacher trainer. Thanks Phil, I’m looking forward to sharing some of that experience of yours – do you happen to have any pics from that trip? I think I do. I will look and send some. Could there also be a C) a bit of each of the above? Teachers have carefully looked at Dogme ELT, thought it had a lot to offer, but decided that it was probably only for experienced teachers and therefore not for pre-service or new teachers. This conclusion then being a factor which prevents Dogme gaining more of a foothold in teacher training and education. It is said that some of what Dogme ELT has to offer can be found in the practice of more experienced and confident teachers. It has also been said that teachers will not be adeqately equipped to use a Dogme approach until they’ve built up enough experience. That experience will often be built up using course books and similar materials where teachers learn about language and, more specifically, the grammar rules. If this is the reason for not seeing more of Dogme in ELT teacher training, it could also be why Dogme is seen as little more than “just good teaching” or “what we’ve always done” as you discussed in your previous post. It’s seen as what experienced teachers will do once they have have become sufficiently familiar with lesson sequences and how grammar is presented so that they can do so without the book. I think Dogme is more than this and I do think that it has a lot to offer learners and that the approach has a lot to offer pre-service and new teachers. I don’t think the experience gained from using coursebooks is necessary. It may even be limiting. The difficulty might be that we all have a slightly different take on what Dogme is and what the benefits of the approach are. More research is probably needed. Not to test to see whether it works better than other approaches or not, but to find out more about what Dogme looks like in practice, what teachers know and do, the interaction, the language focused on, learner autonomy, etc. The more we understand and agree what Dogme is and what it’s not and what exactly it has to offer other than ‘just good teaching’, then the more likely it’ll be incorporated in training programmes… and the more appropriate that incorporation will be. But, to finally answer your question… I don’t do a lot of training but when I do I’m in the very fortunate position where I work that a Dogme approach is a very good fit for the way we are expected to work with learners. It also seems to suit the diverse groups of adult ESOL learners who have moved here from a range of countries. So, I do incorporate unplugged ideas into training sessions but I don’t need to highlight them as a new way of doing things. I can, however, include very useful insights gained and activities learned from the Dogme community. Your option C is one of the possible elements of systemic resistance to the integration of minimalist methodology that I considered, but didn’t list. It is interesting to consider it as a brake in its own right, as you do here. Carol, you took the words straight from my mouth! I agree that the majority of factors to account for this is the fact that many have assessed Dogme’s utility and agree it is best for more experienced teachers who don’t need the comfort of relying on pre-packaged materials and syllabi. Anthony, when you described the curiousity of Dogme at conferences and how it continues needing definition rather than what you would suppose is an audience of teachers to whom it is normalised. Much like the CALL discussion, it seems difficult to get everyone on the same page here and maybe, letting go of the ‘specialness’ of being a separate category. do you mean that if dogme were not viewed or presented as a thing in opposition to the status quo (see also Christine Rebuffet-Broadus’ posed question recently on “what is the opposite of dogme?”), then it would be easier for people to start to integrate it into their sense of what teaching is, and it would thereby find a home? If that is what you mean, do you have any ideas for how this could best be done? Yes, kind of. There’s an appealing side to new and special ideas at their origins (again, thinking of CALL or Dogme) that create a sense of community by being new and special. People love nitpicking about the negatives and extolling the virtues of approaches and bond with others who agree. One of the best ways to normalise them into mainstream consciousness once the initial talks describing it (by now, CALL or Dogme is known by just about everyone who is going to care to know anything about anything…) is to refer to it and act like it’s not special; then it can be just considered a part of the regular state of teaching . Practically speaking at conferences? ELT (and the world at large, honestly) loves to label things and talk about those labels instead of simply showing by example. I’m not sure how to shift this focus away from conference sessions being about Dogme or TBL or The Lexical Approach or whatever exactly than just not referring to the name of the approach in the title, abstract, during the session. 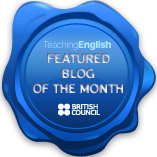 Good to see you back active on the blog, having dipped in from time to time to read your really helpful posts on making the most of conversation in class. To your question, I, like Adam, am far off being a teacher trainer (in fact, just how *do* you become one?) so I’m not sure whether I’ll add very much in the way of comment here. Both you hypotheses about why Dogme hasn’t become a bigger part of teacher training are compelling and, I think, kind of worrying. Especially so if there is any form of gatekeeping going on here. I’ve seen and heard of Dogme being a kind of afterthought to initial teacher training courses, such as at my college where the CELTA trainers do a kind of ‘what next?’ and one of the possible interview questions they talk about goes something like ‘…the photocopier’s broken, you can’t find the CD… you’re lesson’s in 20 minutes, what do you do?’ and ‘what would you need to know about a group if you were asked to cover a lesson in 10 minutes?’. Dale (Coulter) also mentioned that he was just left with the word Dogme after his CELTA (hope I’ve paraphrased him correctly there). I’m currently thinking about teacher development, but in a rather more holistic way. Your questions point to why Dogme hasn’t taken up more of a place in teacher training, whereas my big gripe is that you have to wait until you do a DELTA or MA before you even hear about experimental practice. My dream would be that this notion is looked at right from the start and continued right through a teaching career, and teachers are encouraged to explore whatever realms of ELT they desire (they are NOT allowed to stand still and teach the same coursebook year after year), doing so thoroughly, and always questioning what works in their immediate context above all else. I think what’s needed above all else is to train people to teach who are not just going to accept the status quo and are really going to interrogate what they do and seek to find answers to those questions, regardless of the approach. Thanks for commenting, Mike. I agree with you about the not only needless but arguably crippling postponement of an experimental, enquiry-driven approach to teacher training (or any training, for that matter) to relatively late stages like DELTA or post-grad study. As for how to become a teacher trainer, I rather fell into it. I’d be happy to tell you my tale over coffee in Harrogate, if you’re there. I think there is definitely some value in adopting a synthetic or eclectic approach based on what really works for learners (so-called Principled Eclecticism) but to institutionalise change in the industry there needs to a strong conceptual and theoretical core to any approach. I also think the implementation of approaches on different levels (classroom, syllabus, institution) is often overlooked also. That’s what I’m groping towards with my blog which is really just an exploration of the teaching I’ve been doing recently. BTW, I’m looking to move into teacher training – if you’re ever looking for trainers give me a shout! Thanks for commenting, Paul, and for that link, which I’ll enjoy reading. I hope you can find something there, that may interest you. I enjoyed your post. I think that the one factor you overlook is that students want a course book. It is their notebook, study/homework guide,reference base and security blanket. Whenever I try following a thread from a conversation and expand it to cover either new chunks or a grammar point the students reach for the book and are lost when the “exercise” is not there. In my experience it is the students who are averse to Dogme. Thanks for the comment, John. I get the sense that you are not happy about the situation you describe, am I right? Assuming what you suggest is widespread, though, what would you say the cause of this attachment to coursebooks is? Also, is this a strong argument for ignoring non-courseware-mediated approaches to teaching on initial teacher training? Personally, I would find it a very sad reflection on (language) education if it had bred such a dependence on something so inherently peripheral to learning as a coursebook. The course book provides a landscape for both student and teacher. Using it creatively helps to contextualise the vocabulary and the sentence structure of conversation. In my school as I think in many schools students are here for a short period, two to four weeks on average, and see the coursebook as an extension of their course. The conversation driven sections of my lessons are vital for my students and for some is the most important and enjoyable but it is not for everyone. I find that some Korean students find these sections of the course very difficult and for some intimidating. There are other factors to consider such as time. Conversational unscripted sections can work well but not always and there is a limit to the amount of ground that can be covered. Dogme or it’s variations will always have an important, but minor, part to play and just like the coursebook it will have to adapt to the influence of technology. Most teachers, I would suggest use Dogme as part of their repertoire. I think you are mistaken to see it as a 100 per cent method. Again teacher training is too person specific and here I think Dogme could outscore any conventional course. I don’t need to do a DELTA to learn how to teach an english FILE course book. I need a course that adresses all the individual skills I need to cater for very specific situations. For example I’ve never seen an EFL book which talks about the language of persuasion in Business situations? Jim Scrivener although his basic stuff is very useful, to me he offers a humuorless boring approach to EFL. Personally I would like to see more videos of Scott Thornbury in action using his methods. If you go on Pirate Bay you can see some he made at I.H in Barcelona. They are very useful and also Luke’s ,but they are a bit superficial. Lastly I do think Dogme needs to be more fun, a few jokes would be good.??? Thanks for commenting, Philip. I’m not sure I suggested anywhere that dogme is a “100% method”; I certainly don’t view it as such, and perhaps that is part of the problem. Anyway, sorry if I’ve given that impression. You seem to suggest that a more unplugged approach to teacher training (i.e. more dogme) would be a better fit for the needs and nature of teacher training, am I right? If so, I agree with you in principle, and therefore wonder what it is that is stopping this from happening in practice – it’s them ol’ “systemic factors” again, I suspect. As Phil has already beaten me to it in responding to your comment on Jim Scrivener, I’ll just add that most ELT methodology books (Jeremy Harmer’s PELT, Jim Scrivener’s Learning Teaching, or Scott Thornbury’s various How to Teach… books tend to aim for clarity and even-handedness than humour, which I can see the value of. Now, each of those three in a live setting… very different story: three very witty, canny, erudite and flexible thinkers and speakers, even when – or especially when – they are saying something that I don’t agree with. Those references you made to watching video of Scott teaching has me interested, as I was one of those lucky enough to attend the TDSIG Unplugged Conference in Barcelona a few years back, which was opened by – at the time – the groundbreaking idea of having a live, unplugged lesson with a bunch of Spanish learners of English, in the round, taught by Scott and Luke. It was the best kickoff to a conference I’ve ever seen, and – given half a chance – I have had a few ideas for how to take the idea further. Hi Philip, you make some good points, but I have to respond to your comment on Jim Scriv. He was my Delta tutor 20 odd years ago and I can assure you he is anything but humourless and boring. He is witty, insightful, incredibly clever, argumentative for sure but easily the most important influence on me as a teacher and a teacher trainer. He is the most inspirational person I have ever known in my professional life and if I manage to get my next book project published, it will be dedicated to him. (I dedicated my first one to my wife. I got a lot of brownie points for that 🙂 ). I’ll give you that “Dogme is for experienced teachers” is a bit glib, but the fact is that, as a dogme teacher, you have to whip out explanations of the language on demand. Hi Anthony. Just thought I’d let you know that I did a Dogme session today on the full-time CELTA course I am teaching. I had the idea to follow the session with my storytelling/story writing session, for which I use nothing except paper and pencils and instrumental music. The two sessions dovetailed beautifully and the trainees absolutely loved it. It was easily the most positive reaction I have ever had when I have talked about or presented Dogme. I think I have created some converts!!! However, I think there is more to it than that, as others have already pointed out. This perception that Dogme ELT is only something that experienced teachers can do is actually kind of valid. But that’s because new teachers are not trained to teach using Dogme principles. It’s entirely self-fulfilling. Phil K makes a good point as well though, that employers expect their teachers to follow coursebooks and teach language in a linear fashion. And so do students. I’m not at all sure I’ll have anything substantial to contribute to this marvelous comment thread full of people far more intelligent and knowledgeable than me, but I’ll go ahead and add what I’ve got to the pile regardless. If I have no answers, I certainly have questions a’ plenty – so hopefully these might add to the discussion in some way. I guess I’d start by asking: what IS an “unplugged teacher trainer”? Most input sessions on a course like the CELTA are supposed to be designed and delivered with the notion of ‘the medium is the message’ in mind, right? That is, ideally they are able to experientially demonstrate the same approaches and techniques that are described therein (in that very input session or from the overarching methods taught on the course, etc). So you might have a input session on teaching grammar using a ‘guided discovery’ model. Or you’ll employ the TPR techniques from yesterday’s discussion when introducing the trainees to pronunciation and the IPA. So, first question(s): is the “unplugged teacher trainer” a trainer who takes a ‘dogme approach’ (as in conversation-driven, materials-light, focused on emergent language – or here perhaps language –> process perception? teacher knowledge?) to training tasks? Or, is the “unplugged teacher trainer” a trainer who ‘teaches dogme’ along with or even instead of something else? Or – considering the above, how content and technique merge in the training room – both, in whatever proportion? Or in imagining the ‘unplugged teacher trainer’ should we imagine a person unplugged, like the unplugged teacher, from dependency-inducing materials…but also ‘unplugged from’ various other conventional notions that inform and yet limit teacher education? If so, what specifically is the unplugged teacher trainer unplugged from? And to? What should/could really, really change about TT? A – perhaps it should be no surprise at all if the dogme approach takes a long time to take a conspicuous place in teacher training if we consider the nature of the TT course as necessarily (?) conservative (do we?/should we? <–maybe that’s the point) along with the (debatably, yes) ‘radical’ (or radically simple) nature of dogme. Is dogme in some way seen as too potentially ‘viral’ as a major element of a course that also includes many other more conventional ideas in the direction of which dogme might seem to be pointing a sharp object? B – re: what folks are saying (and most often say, it seems) about ‘dogme as the experienced teachers’ M.O.’ goes down so smooth, even if glib sometimes (well put, Elizabeth!) because, as we can surely all easily agree, as Elizabeth says “new teachers, at least of the NS kind, are so lacking in any theory of language, that they are frequently unable to answer even rudimentary questions”, but ‘doing dogme’ would seem (is this a mistake?) to require the T’s ability to “whip out explanations of the language on demand”. It goes down smooth but maybe it shouldn’t. Maybe I’m swallowing a half-truth whole without realizing it? Would expecting new teachers to work with a dogme approach be a bit like expecting Ss’ to do free production activities with target language that they had had no chance to process and practice? Perhaps, if ‘dogme-centric TT’ really happened (meaning plenty of other stuff was moved out of the way) there would be that much more space for and focus on building and developing language awareness needed for teaching? Steve makes the important point that when ‘dogme for old dogs’ is accepted out of hand it becomes a self-fulfilling thing and ‘that’s that’ – w as an actual force for change/improvement. I agree…surely that’s not all the dogme concept/perspective/practice has to contribute to teachers and to language learning! C – back to the beginning: “where are all the Xs?” < The illocutionary force of that question type, of course, traces out “there aren’t enough Xs”. You are a teacher trainer and a dogme approach taker, and (so) you are an ‘unplugged teacher trainer’, yes? If you are X then, I could say that you are saying “there aren’t enough MEs”. And that’s almost certainly true! Great work you do, great blog, and great discussion you are fostering!